Established in 1936 by executive order of President Franklin D. Roosevelt, the Patuxent Research Refuge is the nation's only national wildlife refuge established to support wildlife research. Today most of the research on the refuge is conducted by the U.S. Geological Survey (USGS) through the Patuxent Wildlife Research Center. With land surrounding the Patuxent and Little Patuxent rivers between Washington, D.C. and Baltimore, MD, the refuge has grown from the original 2,670 acres to its present size of 12,841 acres and encompasses land formerly managed by the Departments of Agriculture and Defense. Throughout decades of change, Patuxent's mission of conserving and protecting the nation's wildlife and habitat through research and wildlife management techniques has remained virtually unchanged. 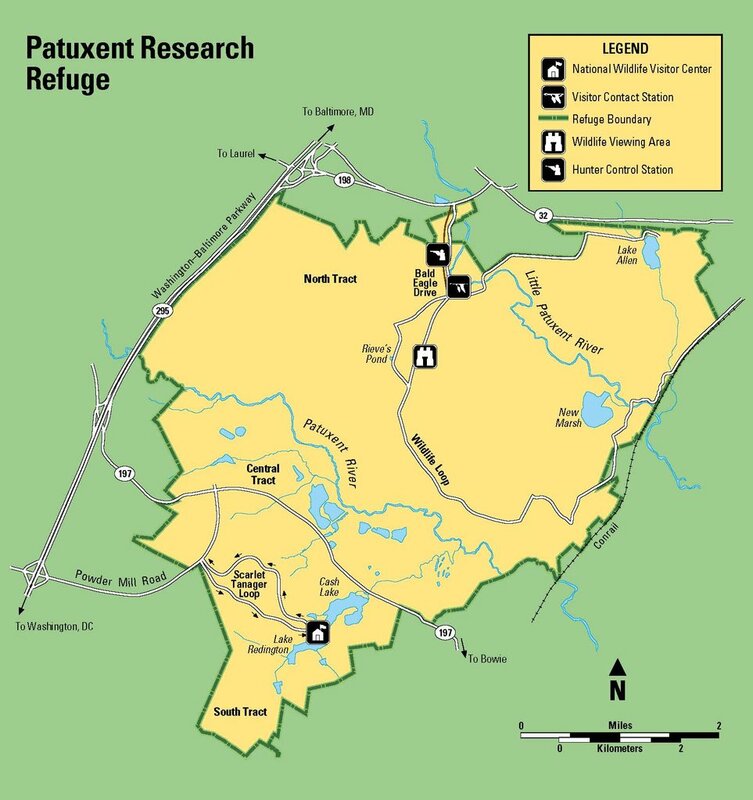 Patuxent Research Refuge is divided into three areas: 1) North Tract, which offers hunting, fishing, wildlife observation, trails, and many interpretive programs; 2) Central Tract, where the offices and study sites of the many research biologists are located at the USGS Patuxent Wildlife Research Center; and 3) South Tract, where the National Wildlife Visitor Center and its trails are located. The National Wildlife Visitor Center and North Tract are the only areas open for visitor activities. Visitor Contact Center & Grounds Open Daily 8:00 A.M. - 4:00 P.M.
Open Daily 9:00 A.M. - 4:30 P.M.
Open Daily 11:00 A.M. - 4:00 P.M. There is no fee for the visitor center. Tram tickets are also free. The National Wildlife Visitor Center and North Tract are the only areas open to visitors. The visitor center features interactive exhibits that focus on global environmental issues, migratory bird studies, habitats, endangered species, and the tools and techniques used by scientists. The visitor center also offers hiking trails, tram tours, a seasonal fishing program, wildlife management demonstration areas, and an outdoor education site for school classes. 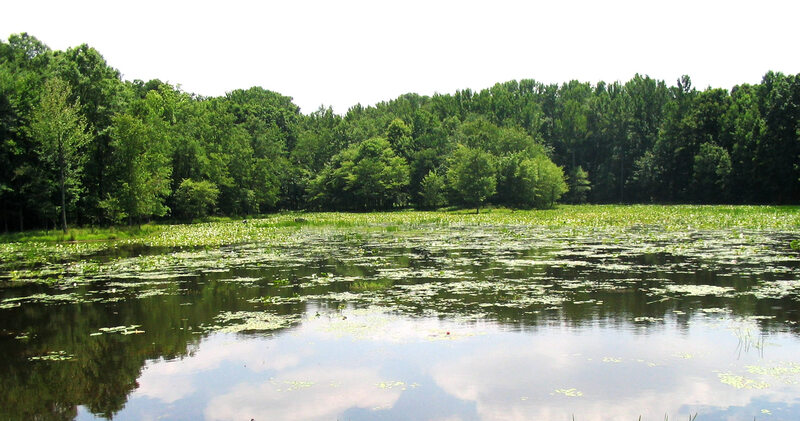 Patuxent prohibits traditional park-like activities such as swimming, boating, tubing, rafting, picnicking, and sunbathing. Patuxent prohibits traveling off roads and off trails, and in closed areas is prohibited. The refuge also forbids firearms (except for permitted hunting) and alcoholic beverages. Visitors may not disturb, introduce, or remove plants and animals (except for permitted hunting and fishing). The Patuxent Research Refuge’s visitor center features a large auditorium and meeting rooms, as well as a bookstore. The National Wildlife Visitor Center is a science and environmental education center providing visitors with opportunities to explore, discover, and learn. The visitor center is handicapped accessible, and there is a paved trail. Sign language interpreters are available if requested at least two weeks in advance of your visit. Pets must be kept on a leash (no longer than10 feet) and under control at all times. Pets are not allowed in Refuge ponds or waterways.